Add Beauty and Décor to Your Pool! The atmosphere you create around you pool will enhance your enjoyment. Look to pcPOOLS for help with all your poolside décor and accessory needs. 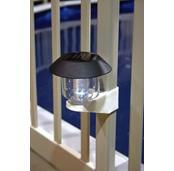 We carry a wide variety of beautiful and unique solar lights to decorate your outdoor living spaces. HIGH QUALITY.